The wedge salad is one you will need to eat with a fork and knife. 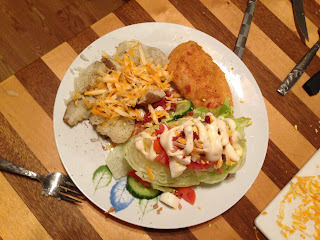 It is one of my all time favourite salads and it’s super easy. You'll be able to alter it any way to make those taste buds happy! 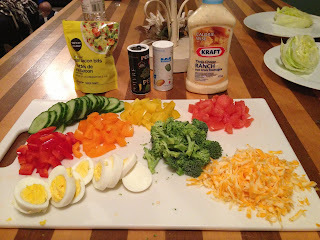 I love serving this salad when I have guests over, so they can top their salad with their own toppings and I know they will enjoy it. It's super easy and always goes over well. 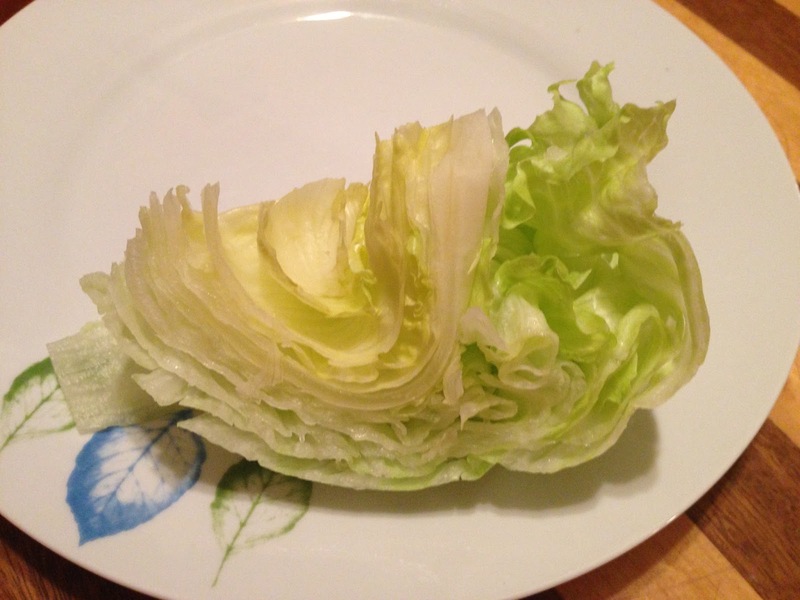 First thing you’ll need to do is cut your iceberg lettuce, like the below picture. Be prepared for the toppings to fall off the wedge of lettuce when you are putting it all together, that’s totally normal. It will look something like this, once you're done putting it all together.